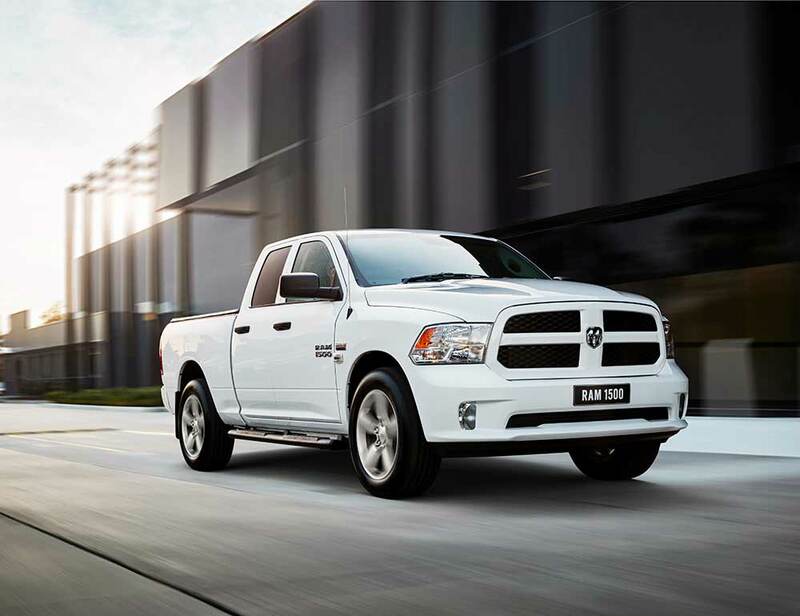 Standing out for exceptional style and value the Express is designed and built with performance and functionality at its core. 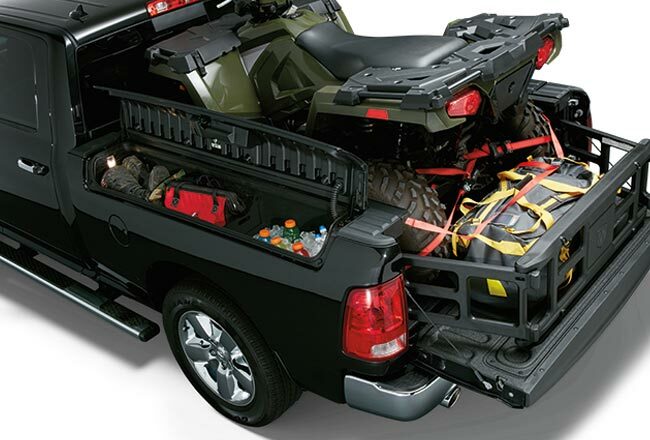 With a durable interior that will withstand the toughest conditions, combined with a massive 6’4” cargo tub, the Express is equipped with plenty of space to accommodate both work and play. 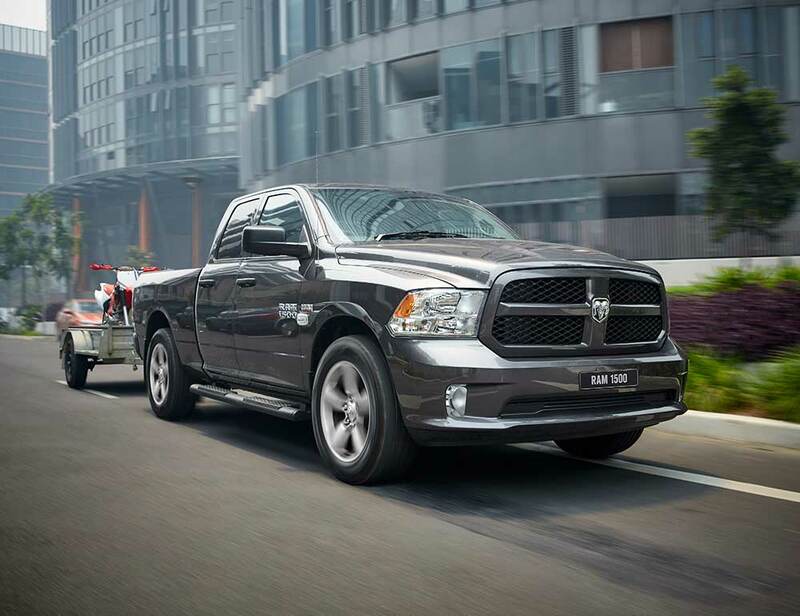 The Express will take a full-size pallet with ease and you’ll still have space left over, thanks to the cargo tub length of almost 2 meters (1,939mm), and a width between the wheel arches of 1,295mm. No corners have been cut, no sacrifices made. 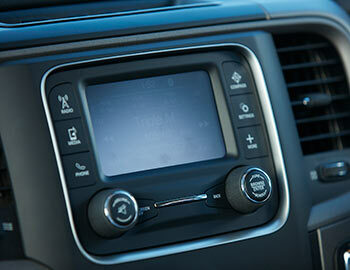 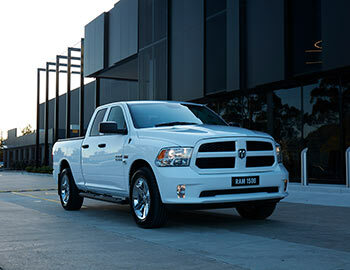 Just one smart package that’s been purpose-built with the flexibility to undertake any challenge. 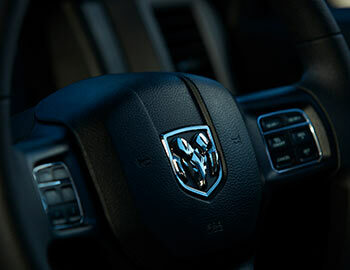 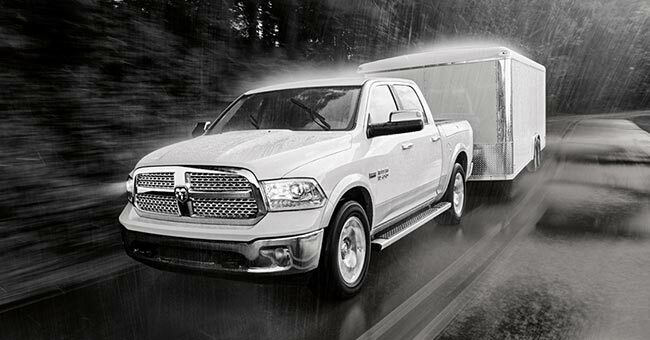 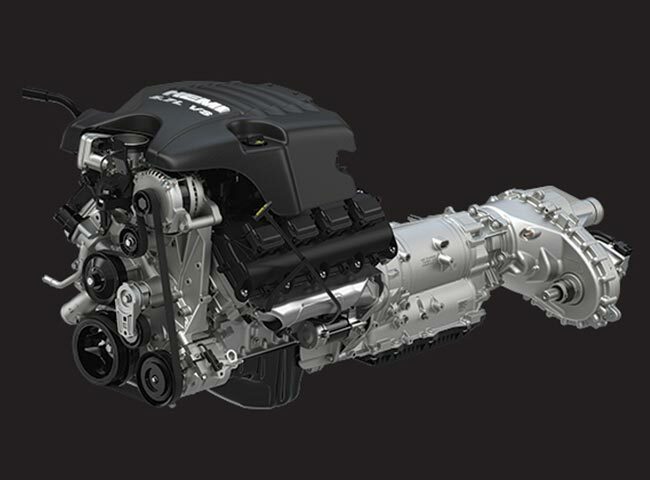 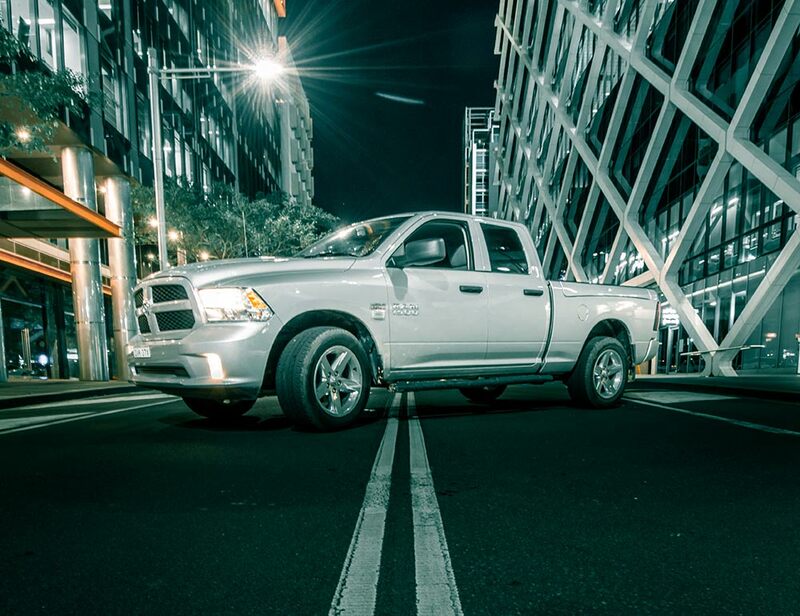 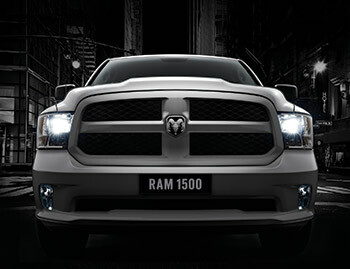 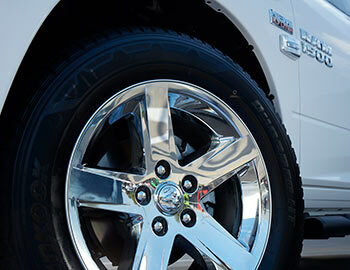 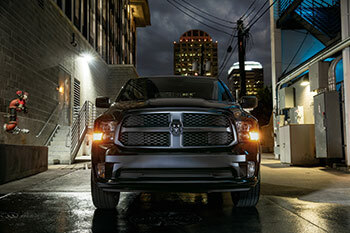 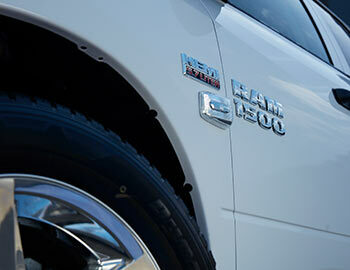 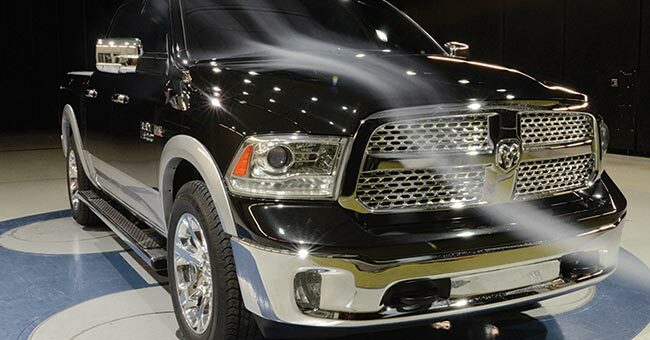 The RAM 1500 Express, will impress! 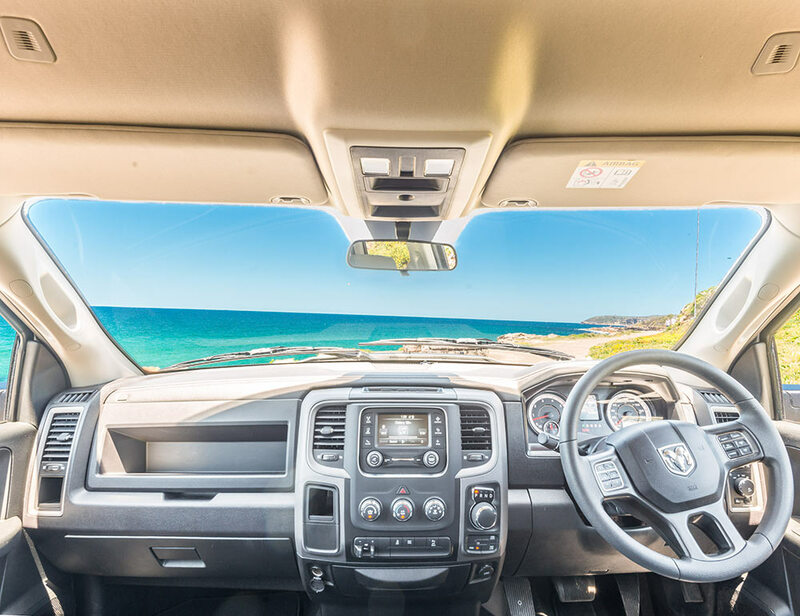 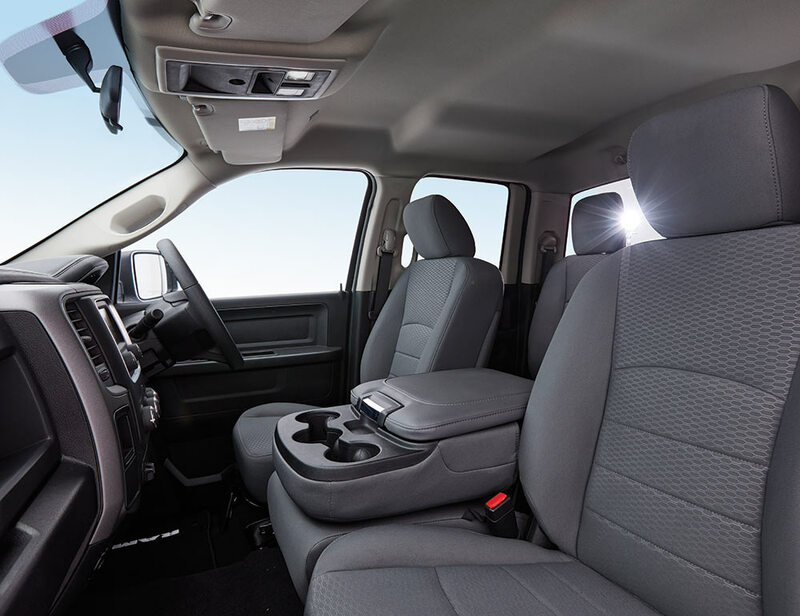 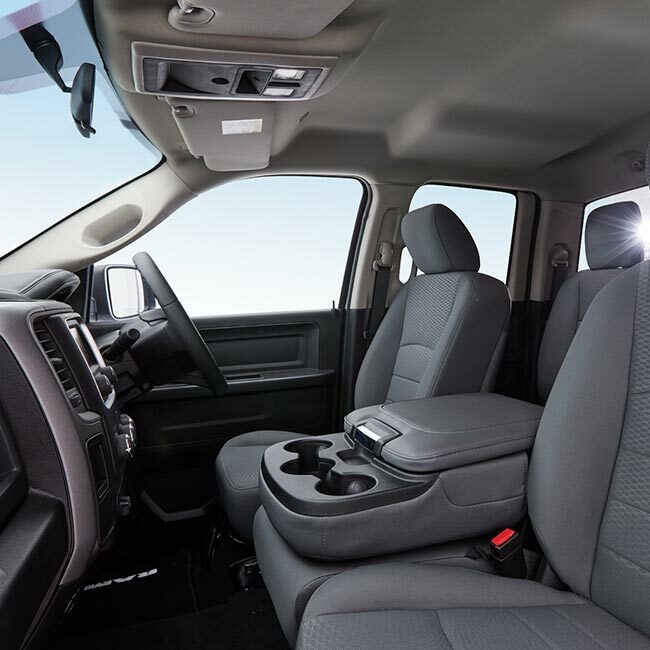 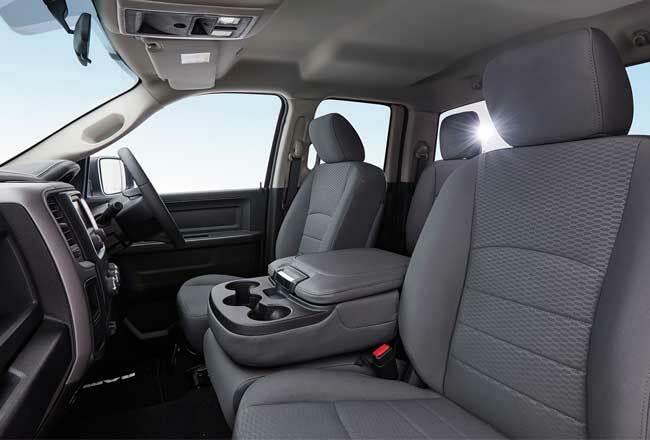 Designed to take on the toughest conditions, the 5-Seater Express Quad Cab features plenty of room for the family with durable cloth interior front bucket seats with central storage and a rear bench seat with under seat compartment storage. 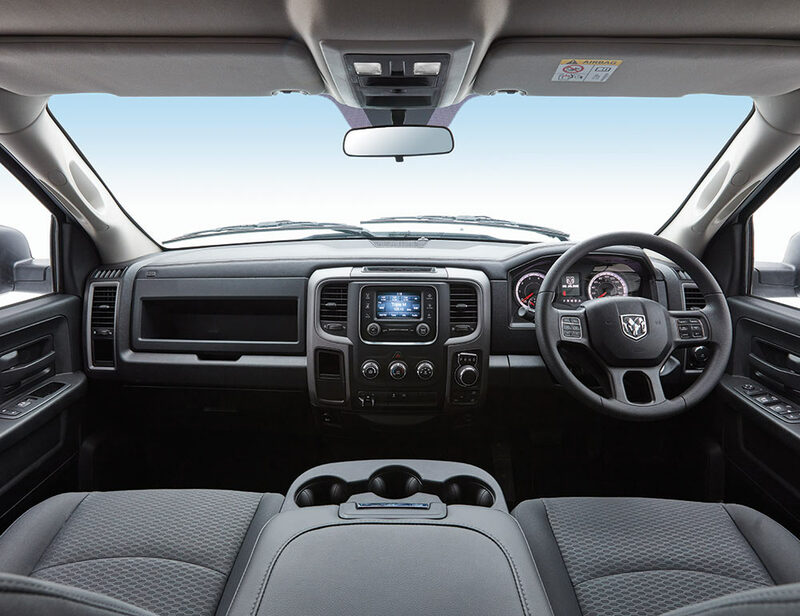 Other convenient features include heated door mirrors, tilt steering column, Bluetooth, an auxiliary 12V power outlet and more. 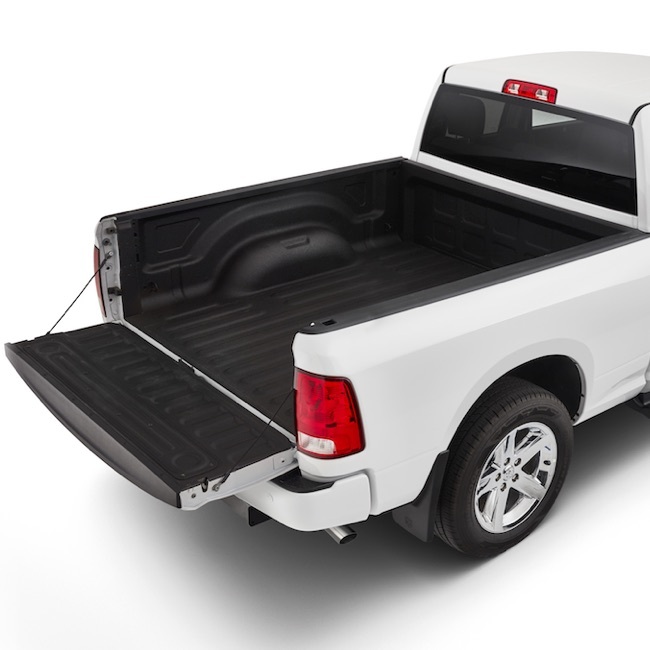 The 1500 Express has a whopping 6&apos;4" Cargo tub, delivering a load length of almost 2m long (1,939mm) and just over 1.6m wide (1,295mm between the wheel arches), allowing for a full size pallet with ease, along with plenty of left over space. 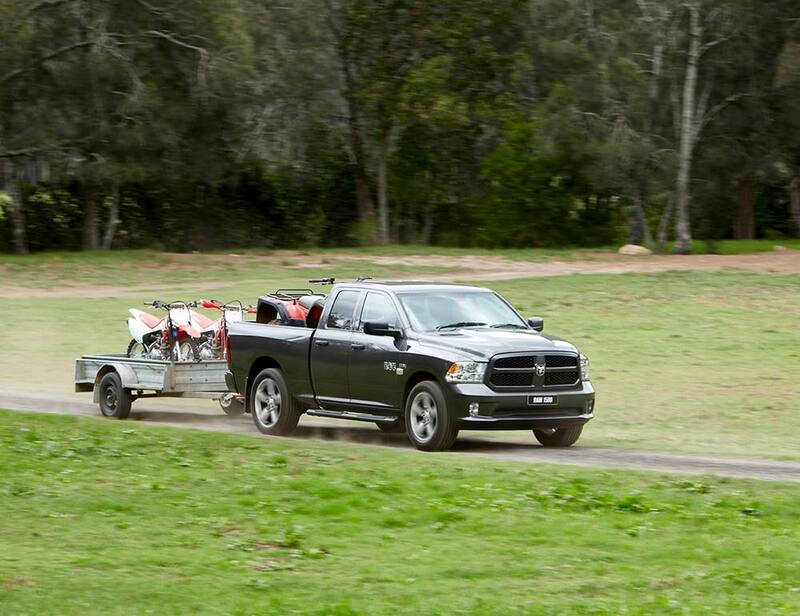 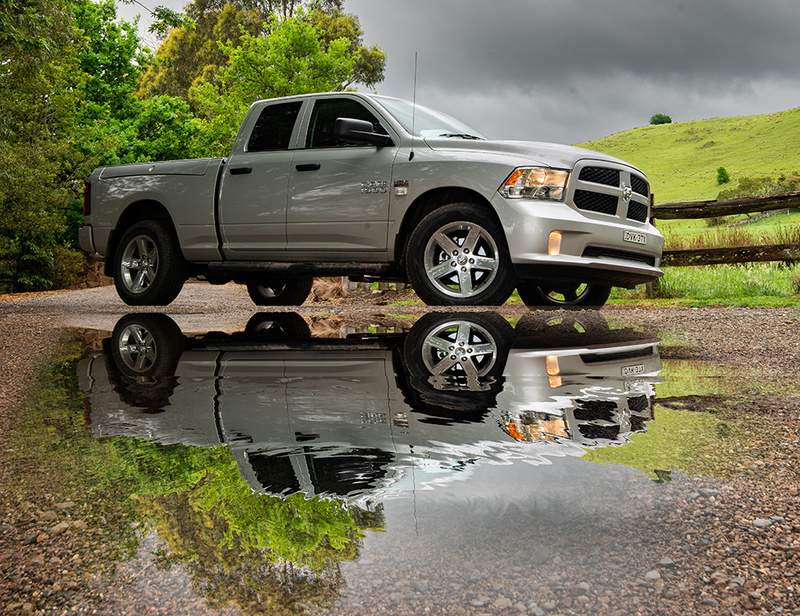 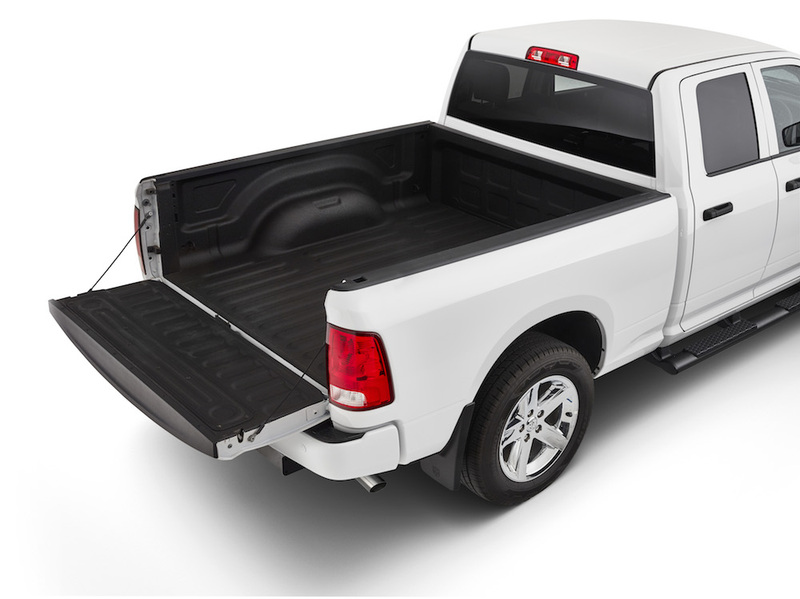 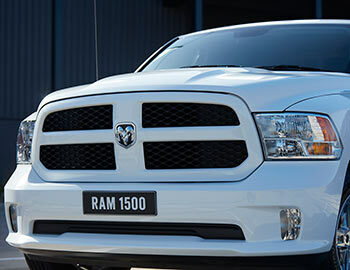 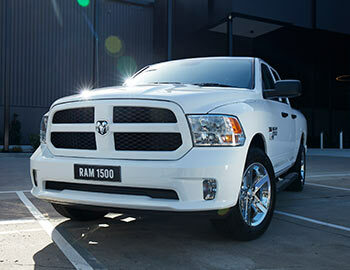 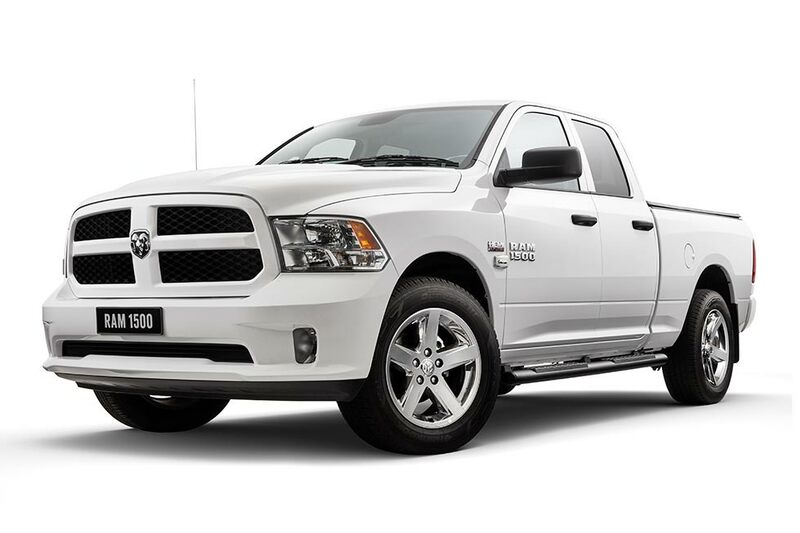 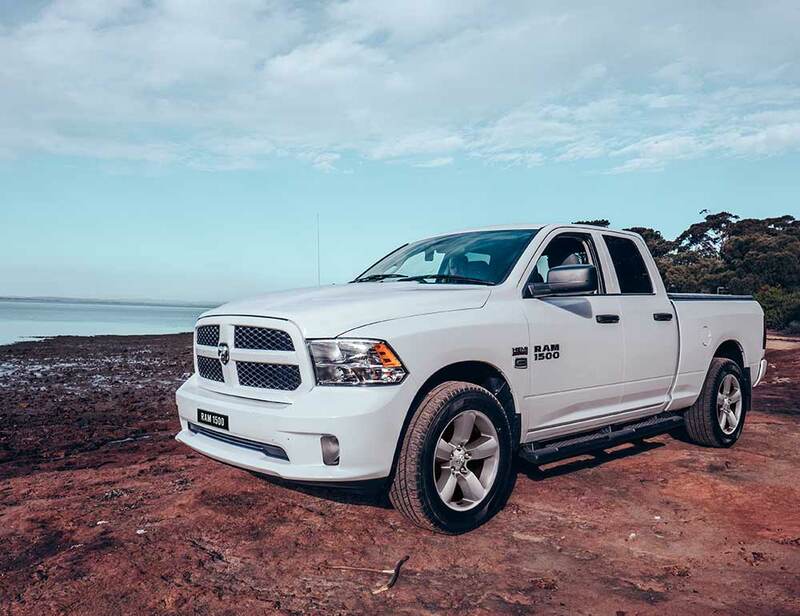 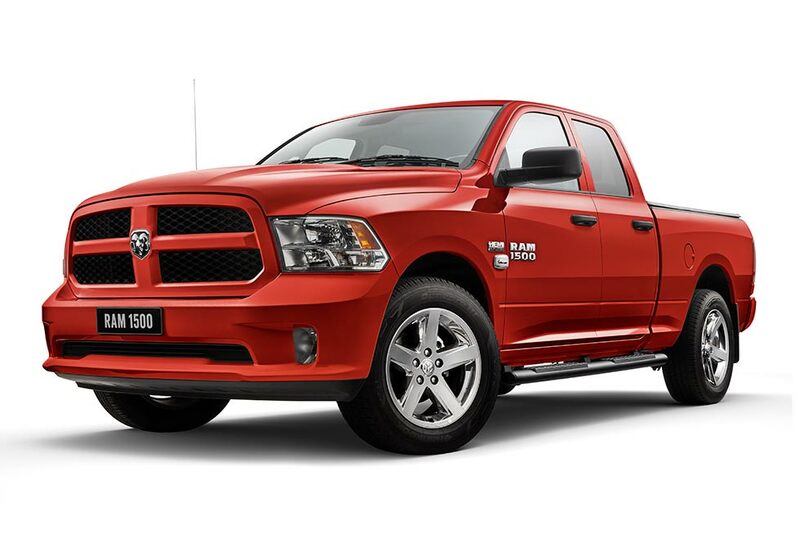 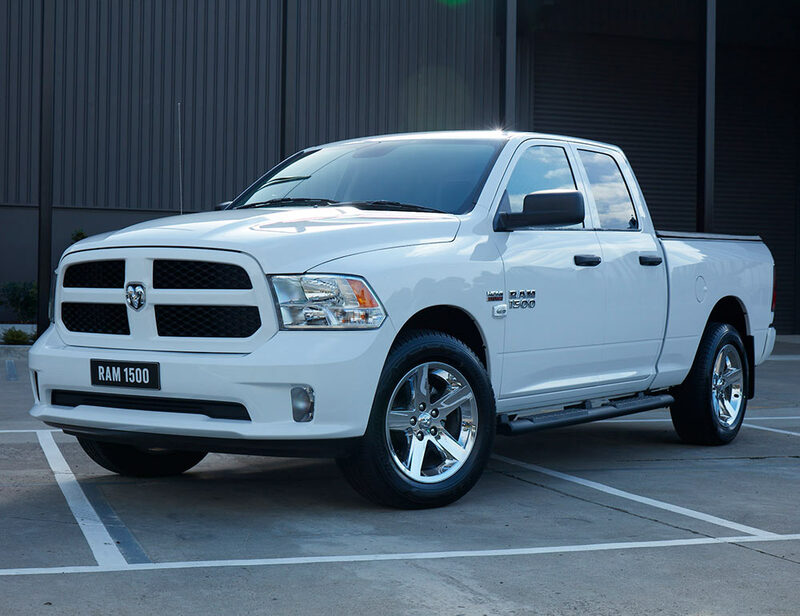 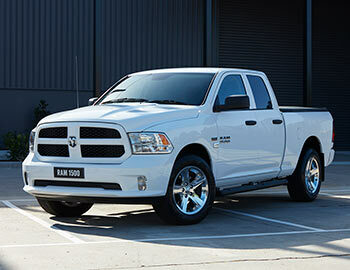 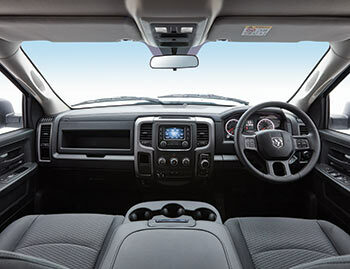 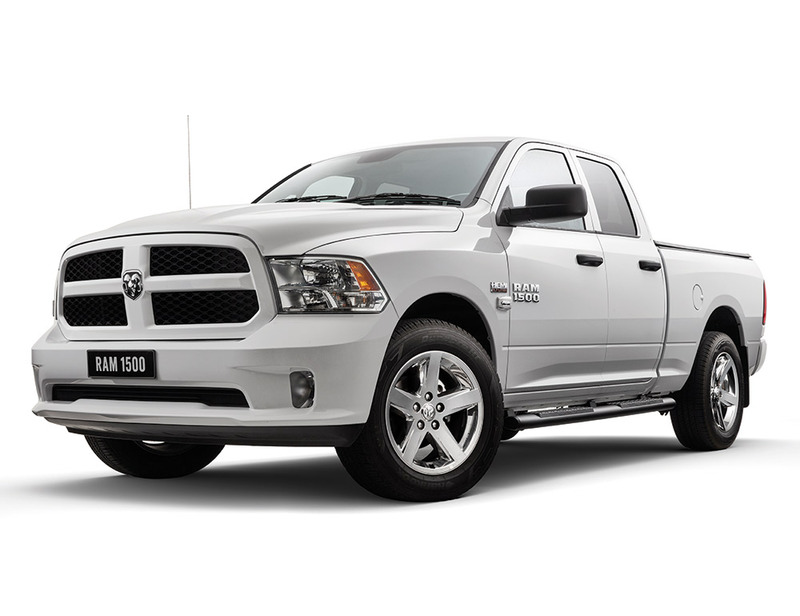 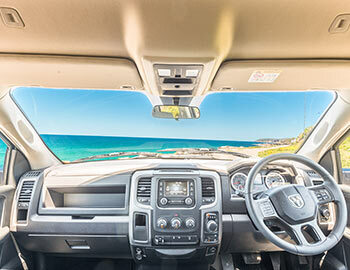 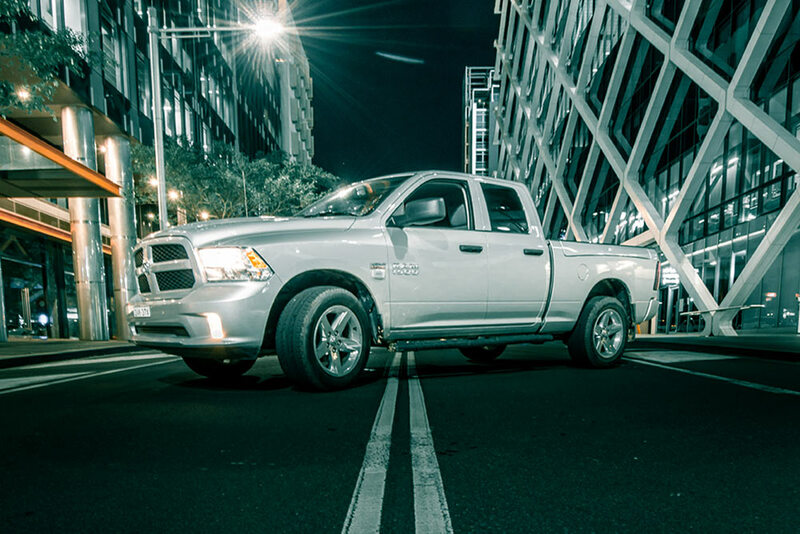 No 5 seater ute can give you a bigger cargo bed than the Ram 1500 Express. 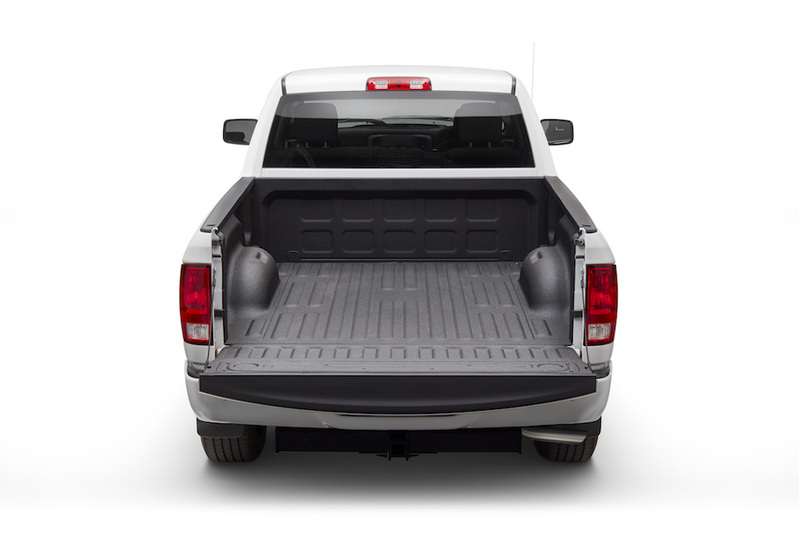 The standard spray-in bed liner, load tray illumination and locking tailgate further enhance usage. 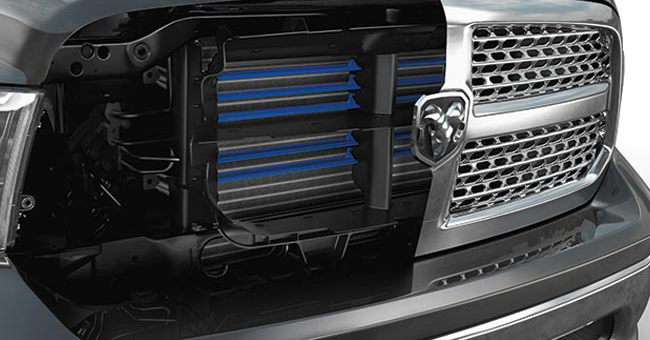 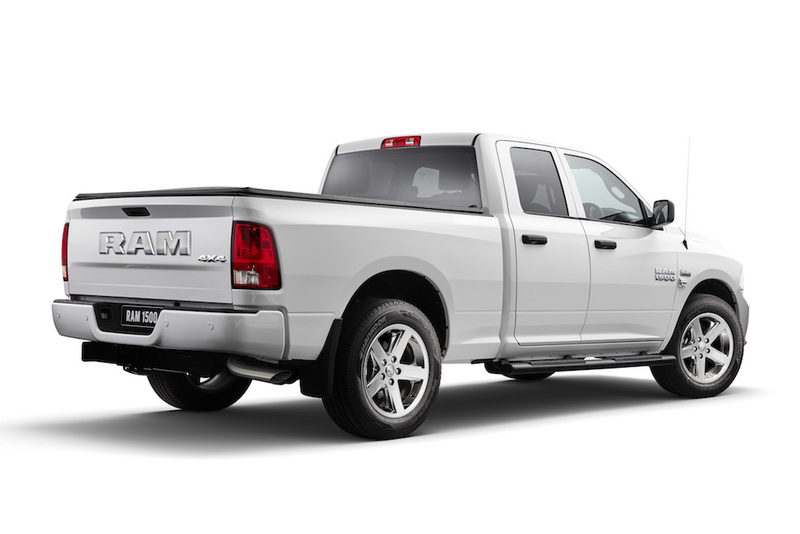 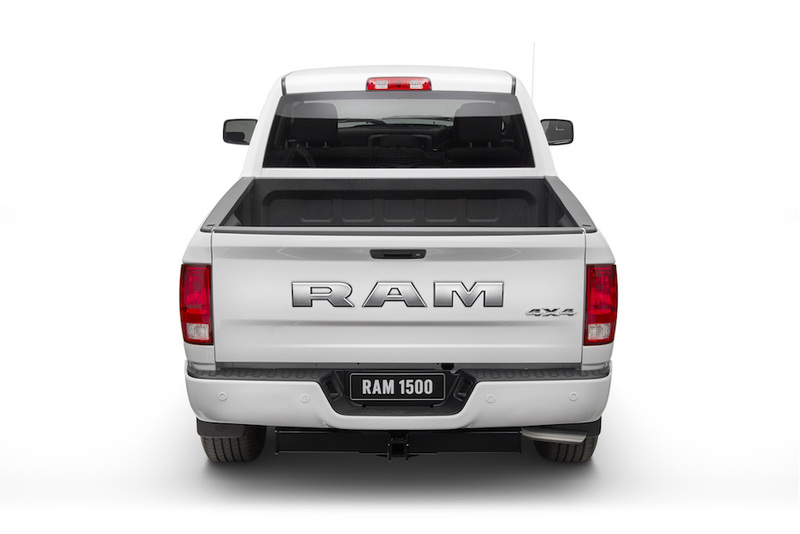 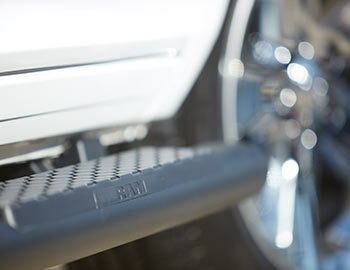 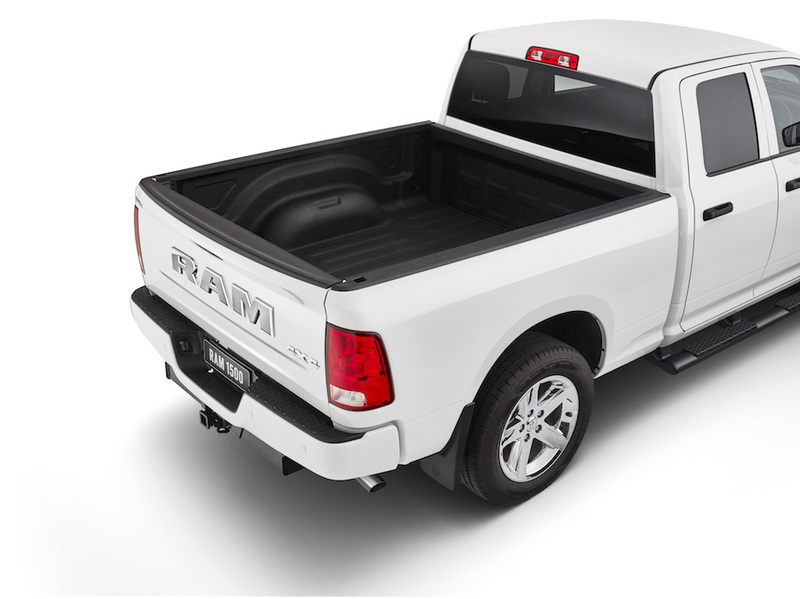 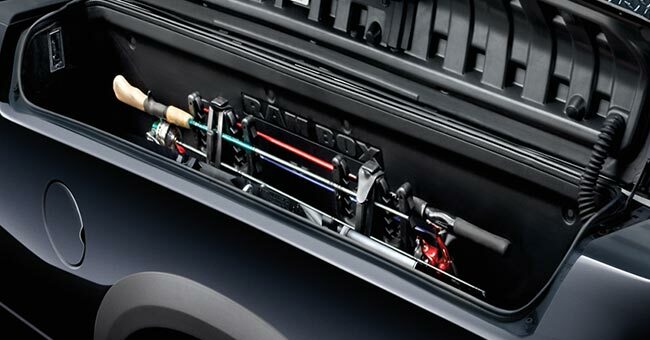 The Ram Exclusive Rambox® Cargo Management system is also available on the 1500 Express for those looking for secure storage bins integrated into both sides of the tub. 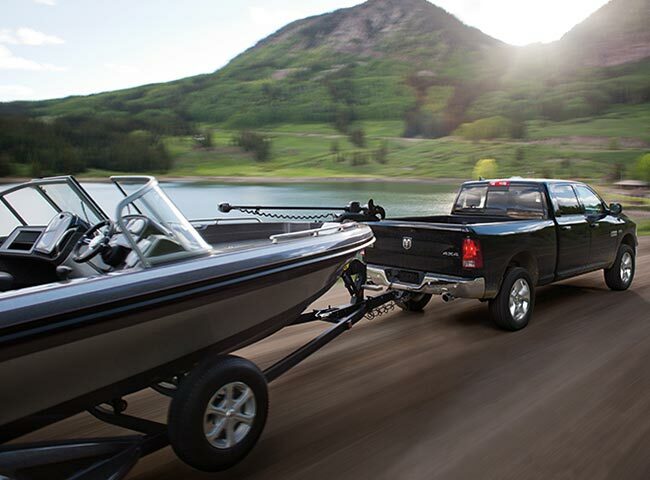 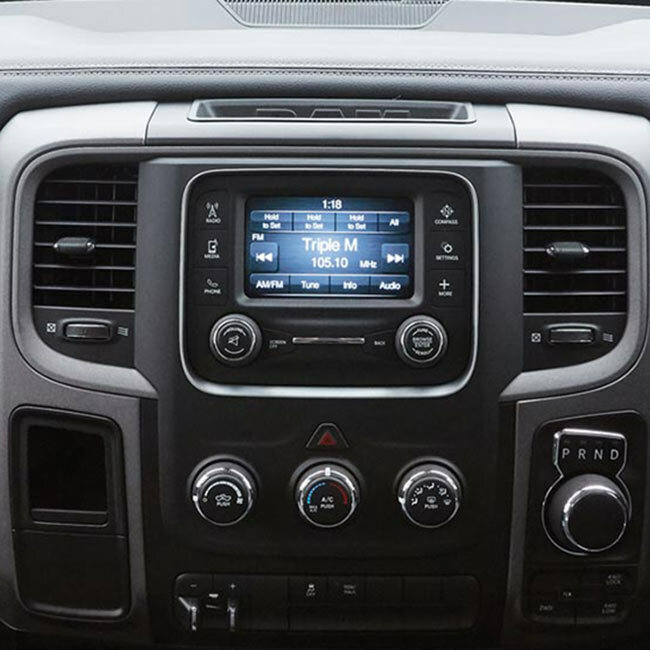 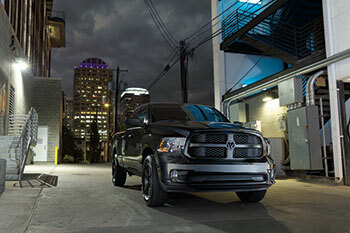 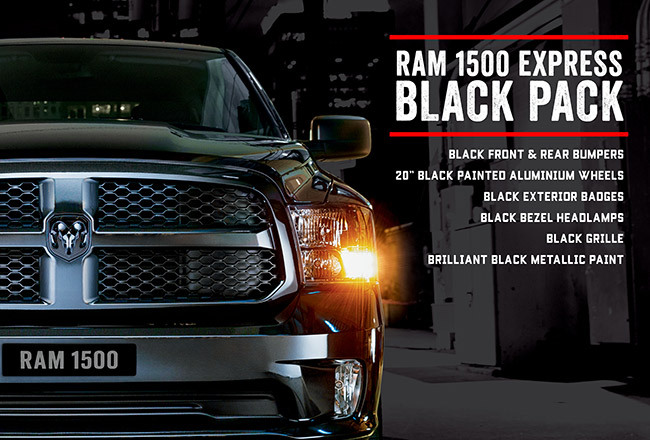 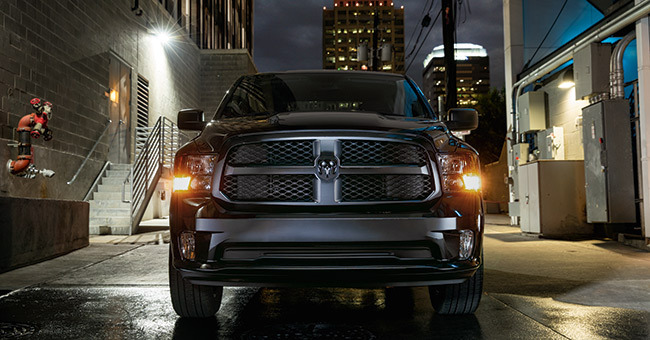 The Ram 1500 Express Black Pack is packed with all the class-leading features of the Express model and then dressed to impress. 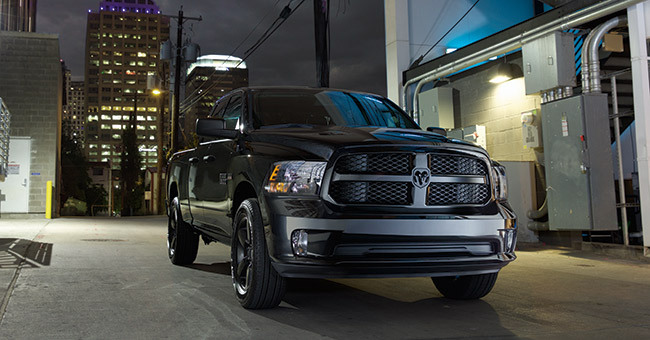 Dark and handsome the Black Pack features a host of black accents. 20" black painted rims, black badging, black bezel headlamps, black grille, black front and rear bumpers, and brilliant black metallic paint. 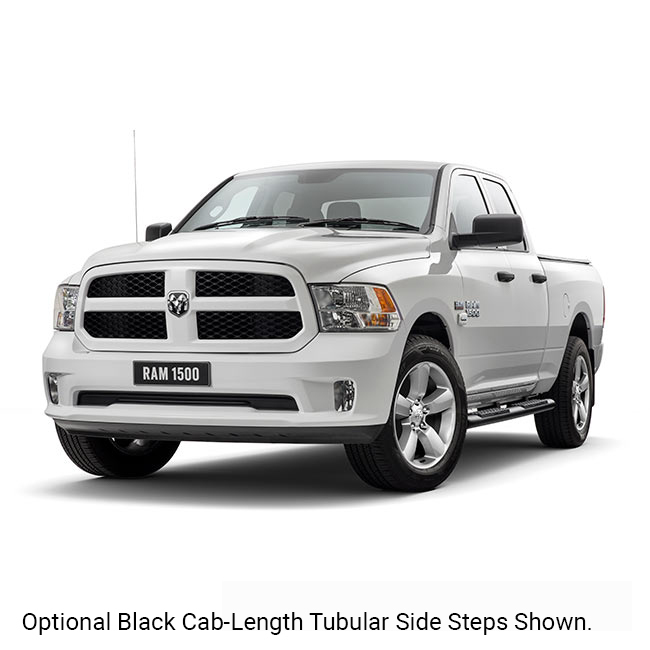 Available with or without Rambox, no matter what your needs the Black Pack will deliver in style.